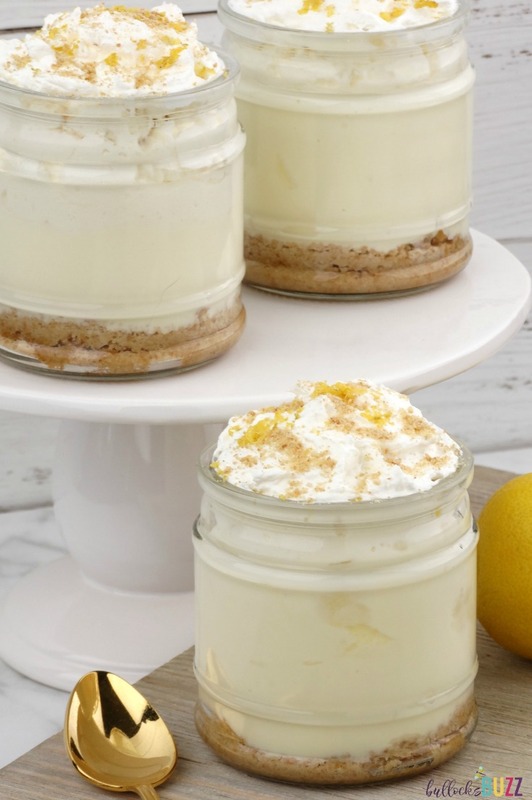 Rich and creamy lemon meringue greek yogurt layered together with sweet whipped cream and crunchy graham cracker crumbs make these No-Bake Lemon Meringue Pie Dessert Cups a simple, delicious and guilt-free treat. This post is sponsored by Dannon® Oikos® Traditional Greek Yogurt, but the content and opinions expressed here are my own. Ever since I was a child, I’ve had an incurable sweet tooth. If you had asked me what my favorite meal was, I definitely would have said dessert! Now, as an adult, while I still love sweets, I prefer to eat healthier. Besides, desserts and counting calories don’t exactly go hand-in-hand. That’s where Greek yogurt comes in. Greek yogurt and regular yogurt makes it easy to create yummy low-cal desserts without having to skimp on flavor. I’ve used it to make popsicles, paletas, salad dressings, marinades, and more. In fact, did you know that each 5.3 oz. 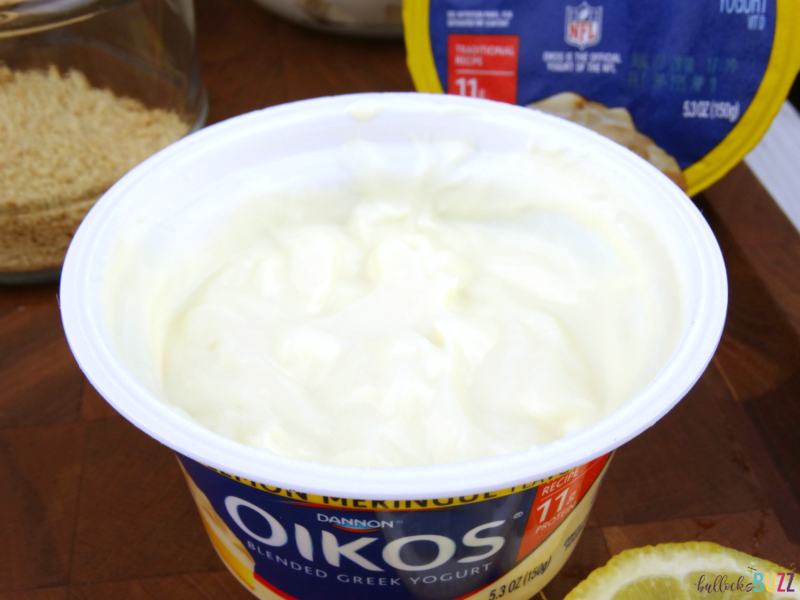 serving of Dannon® Oikos® Traditional Greek Yogurt has just 150 calories and 11 g of high-quality protein?! 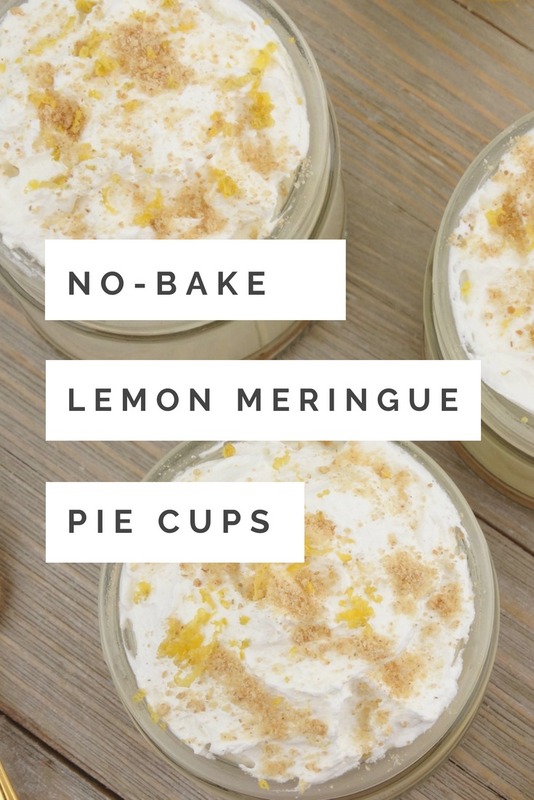 Speaking of desserts, these no-bake Lemon Meringue Pie Dessert Cups are a sweet treat that will leave you feeling completely satisfied – without any guilt. 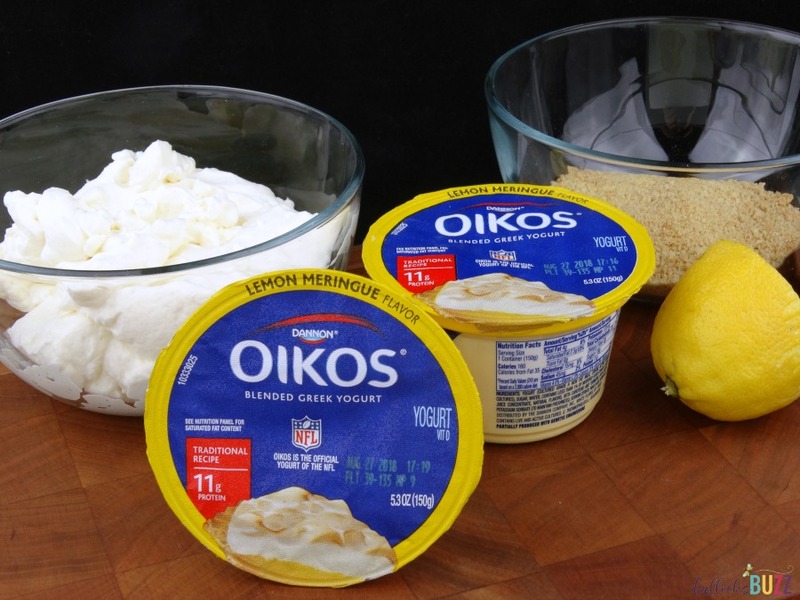 The use of Dannon® Oikos® Lemon Meringue Greek Yogurt cuts back the calories and fat typically found in lemon meringue pie, and makes these dessert cups rich, creamy, and filling. Best of all, they taste just like a lemon meringue pie! 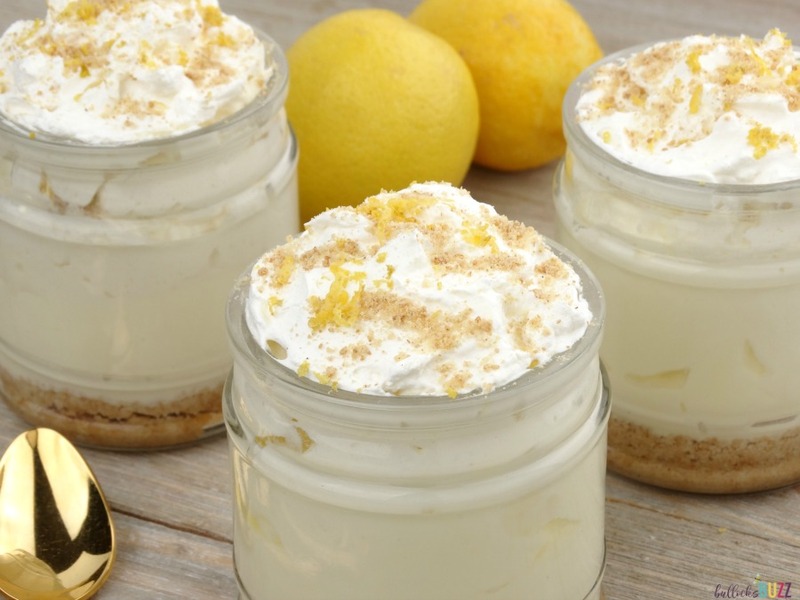 To make these delectable No-Bake Lemon Meringue Pie Dessert Cups all you need is some Dannon® Oikos® Lemon Meringue Greek Yogurt, graham cracker crumbs and whipped cream. You’ll not only love how they taste, you’ll love how easy they are to make, too! Begin by filling the bottom of each mason jar or cup with the crushed graham cracker crumbs. I used about 1 tablespoon per jar. Next, spoon the Dannon® Oikos® Lemon Meringue Greek Yogurt on top of the graham cracker crumbs. I used about half a yogurt container for each dessert cup. Follow the yogurt with a large spoonful of whipped cream. Then top with a sprinkle of graham cracker crumbs and the zest of one lemon. And that’s it! 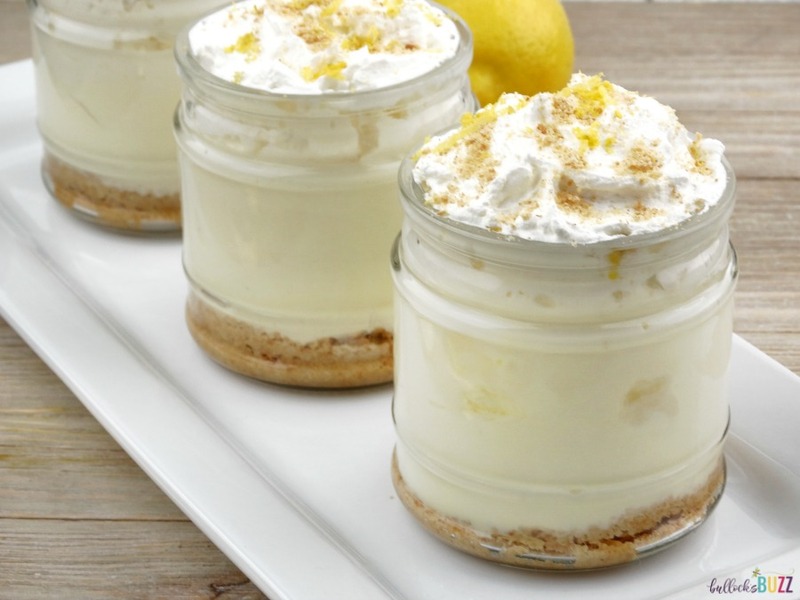 Your lemon meringue pie dessert cups are ready to enjoy. Don’t they look delectable? Best of all, they are quick, easy and oh so yummy! 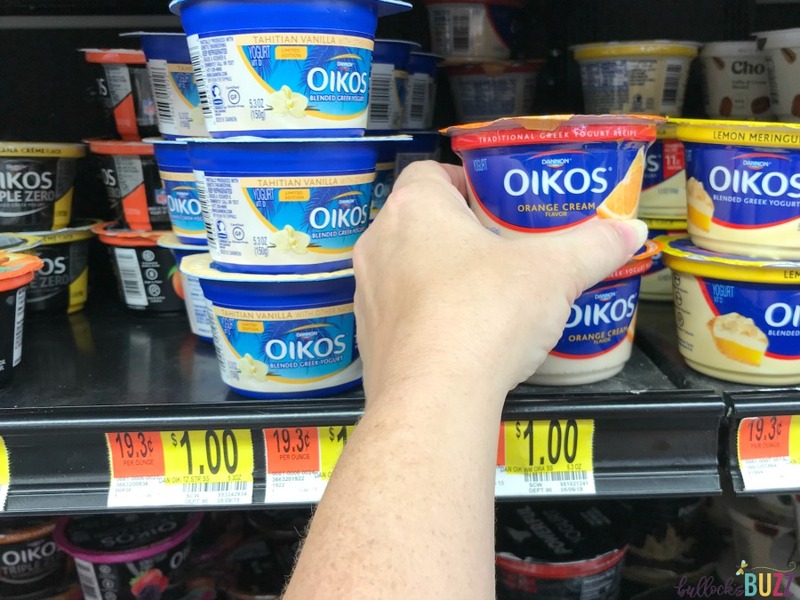 You can find Dannon® Oikos® Traditional Greek Yogurt in the dairy section of your local Walmart. It comes in lots of fantastic flavors including Key Lime, Orange Cream, Toasted Coconut Vanilla, Raspberry, and many more. 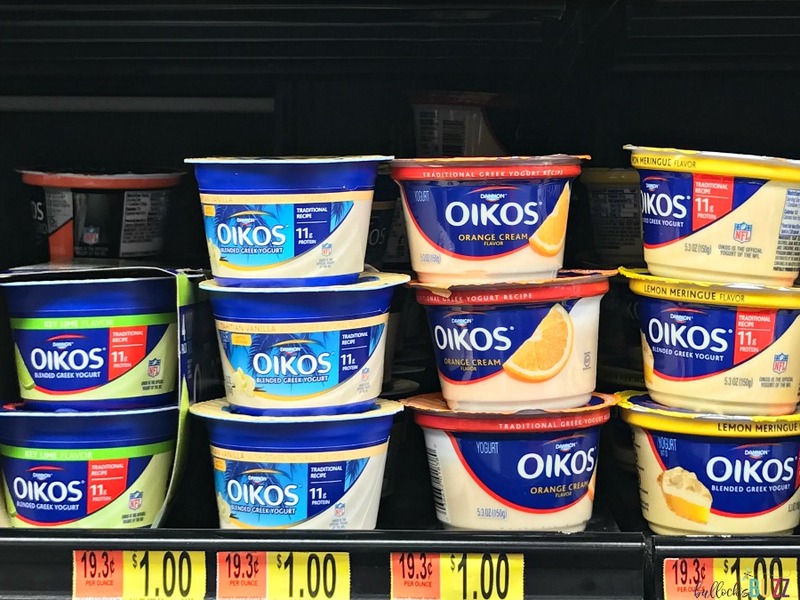 Right now you can earn money back with this Ibotta offer on both Oikos Greek Yogurt 4 Pack and Oikos Greek Yogurt Singles!